A loan of $825 helped to buy fertilizer, chemicals, a wheelbarrow, crops, boots, a machete and a spade. 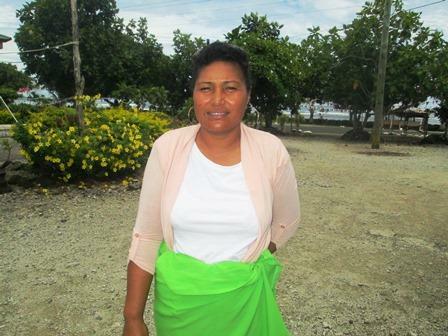 Rosalia is 40 years old and married with four children. She has a small plantation where she grows taro and bananas that she can sell in her community or at the market. She has been doing this for 10 years. Rosalia needs a loan to buy fertilizer, chemicals, a wheelbarrow, crops, boots, a machete and a spade. She has been a member of SPBD since 2004. Rosalia will use the profits from her sales to pay for her family's weekly expenses. This loan supports financially marginalized women in Samoa with credit to help them establish businesses and improve their livelihoods. SPBD Samoa provides financial literacy training to help borrowers better understand their income and expenses, and also offers market-specific guidance throughout the loan period. In Samoa, there are currently no other microfinance institutions. By supporting this loan, you're helping empower women with the credit and education needed to start and grow their businesses.